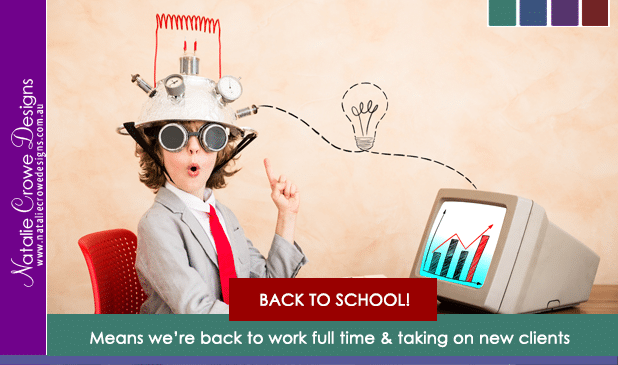 Back To School – Back to the Office! 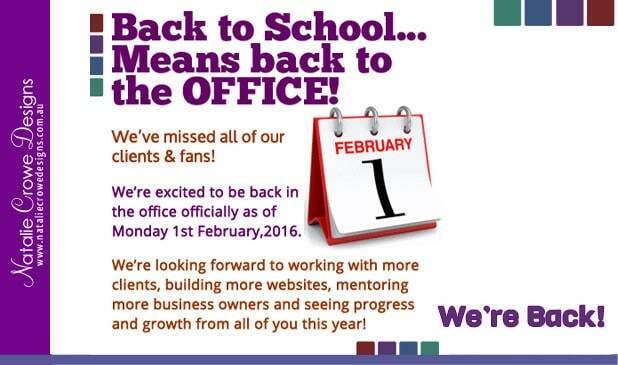 We’re back in the office as of the 1st of February 2016. * Enjoying some quiet time with the family and friends over the holidays. * Recovering from fractured tailbone and sprained knee. * Studying online at the Shining Academy. * Reading a tonne of new business resources and getting educated up. * Planning on embarking on a solo trip to Canberra for the Shining Business Retreat. 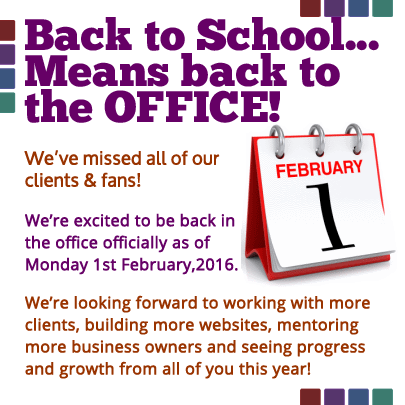 * Writing Course Material for our Business Mentoring course opening later in 2016. 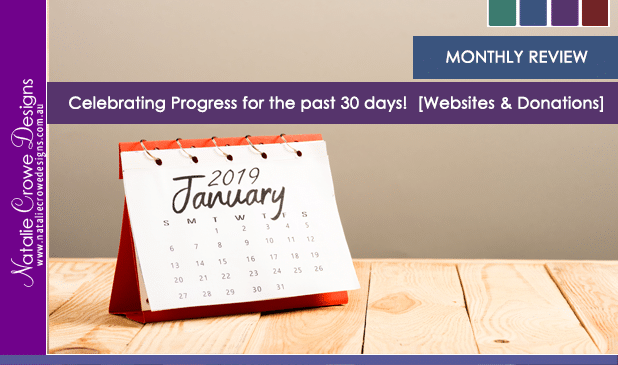 * Updating some of our existing clients websites. * Quoting several new website developments. All this among many other things! 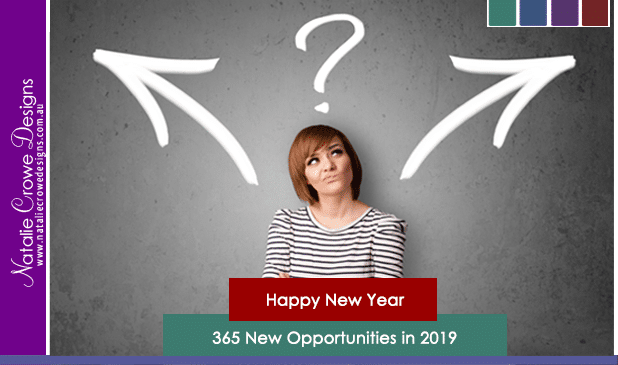 We’re looking forward to hearing from all of you!